Athens, GA - The Catamounts won on the road today over the nationally ranked Georgia Bulldogs. Junior Adam Curtis picked up the win, while junior Preston Hatcher picked up a save tonight over the Georgia Bulldogs in Athens, Georgia. Curtis pitched 6 and two-thirds innings, facing 29 batters, giving up 6 hits, and three runs in the win. This win gives Curtis his second win of the season, and his first over a nationally ranked team. Menendez is averaging 11.7 points per game and ranks ninth in the Southern Conference. She ranks sixth in free throw percentage (80.4) and eighth in steals (1.7) in the SoCon. She has scored in double figures 19 times scoring a career-high 26 points against Chattanooga on December 19, 2011. Menendez also became the 23rd player in school history to go over 1,000 points in her career and currently has 1,114 points. Lane is the second Catamount player to be named to the SoCon All-Freshman Team, following Rena Wakama was honored on the all-freshman squad in 2011. Lane has started every game for the Catamounts moving from the two guard to the point guard position midway through the season. She is averaging 4.9 points per game. The SoCon Women's Basketball Tournament will begin in Asheville’s Kimmel Arena with Charleston playing Wofford at 11:30 a.m., then followed by Western Carolina against Georgia Southern at 2:00 p.m. Furman will take on Greensboro in the last game of opening day, starting at 4:30 p.m. The women’s championship game, which is scheduled for Monday at 5:00 p.m. in the U.S. Cellular Center can be seen on ESPN3. Game 1— (8) Charleston vs. (9) Wofford, 11:30 a.m.
Game 2 – (7) Western Carolina vs. (10) Georgia Southern, 2:00 p.m.
Game 3 – (6) Furman vs. (11) Greensboro, 4:30 p.m.
Game 5—(4) Samford vs. (5) Elon, 2:30 p.m.
Game 6—(2) Appy State vs. Winner of Game 2, 6:00 p.m.
Game 7—(3) Chattanooga vs. Winner of Game 3, 8:30 p.m.
Trey Sumler has been named the Southern Conference Player of the Week for February 21-25. Sumler averaged 19.5 points, eight rebounds and eight assists as Western Carolina closed the regular season with wins over Samford and Appalachian State. Against Samford, Sumler scored 12 points and had 10 assists to complete a double-double, then on Saturday, he scored a career high 27 points, three steals and six assists against Appalachian State. Game 1 (No. 4 South) Charleston vs. (No. 5 North) Appy State 11:30 a.m.
Game 2 (No. 3 North) Western vs. (No. 6 South) Citadel 2:00 p.m.
Game 3 (No. 4 North) Samford vs. (No. 5 South) Furman 6:00 p.m.
Game 4 (No. 3 South) Georgia Southern vs. (No. 6 North) Chattanooga 8:30 p.m.
Game 5 (No. 1 North) Greensboro vs. Winner of Game 1 - 12:00 p.m.
Game 6 (No. 2 South) Wofford vs. Winner of Game 2 - 2:30 p.m.
Game 7 (No. 1 South) Davidson vs. Winner of Game 3 - 6:00 p.m.
Game 8 (No. 2 North) Elon vs. Winner of Game 4 - 8:30 p.m.
*updated to include Saturday night's games (2-25-12). The championship concluded with the men’s and women’s 4x400m relays. Western Carolina took first place in both. The men posted a time of 3:15.08. The relay team consisted of sophomore Aaron Tribble, junior Brandon Hairston, freshman Demari Boswell and senior Benny Davis. The women’s Catamount relay team posted a new conference record time of 3:44.98. The team included sophomore Shiniqua Proyor, freshman Genevieve Emrick, freshman Lena Elliot and senior Felisha Garren. - If WCU WINS and EITHER Elon OR Samford WIN, the Catamounts would be the No. 3 seed and play the South Division's No. 6 seed, The Citadel, at 2:00 pm on Friday afternoon ... WCU has the tie-breaker over both because of the regular season sweep over Samford while Elon was swept by the Bulldogs. Prior to tip-off on Saturday, Western Carolina will honor three members of the 2011-12 senior class in a pre-game ceremony as Keaton Cole, Harouna Mutombo and Sam Smithson all play their final regular season home games for the Purple & Gold. The Catamounts will also honor seniors Laura Sanchez, Caitlin Hollifield and Kaila'Shea Menendez at the last home game of the regular season. WCU men finish first, women second. During the Catamounts 79-77 victory over Samford last night in the Ramsey Center, Keaton Cole became the Catamounts's single-season record holder for 3-pointers made in a season, finishing with a career-high nine 3-pointers in the win over Samford to give him 100-and-counting on the year. Cole eclipsed the previous record of 99 made 3-pointers by former WCU standout and current assistant coach Anquell McCollum, set in 1995-96. Cole also scored a career-high 28 points in the game, hitting nine 3-pointers to lead four Catamounts in double figures in the game. Game 1 (No. 4 South) Charleston vs (No. 5 North) Western 11:30 a.m.
Game 2 (No. 3 North) Elon vs (No. 6 South) Citadel 2:00 p.m.
Game 3 (No. 4 North) Appy State vs (No. 5 South) Furman 6:00 p.m.
Game 4 (No. 3 South) Wofford vs (No. 6 North) Chattanooga 8:30 p.m.
Game 5 (No. 1 North) Greensboro vs Winner of Game 1 12:00 p.m.
Game 6 (No. 2 South) Georgia Southern vs Winner of Game 2 2:30 p.m.
Game 7 (No. 1 South) Davidson vs Winner of Game 3 6:00 p.m.
Game 8 (No. 2 North) Samford vs Winner of Game 4 8:30 p.m.
*updated to include Thursday night's games (2-23-12). "Can the Catamounts win two games and get the bye from the North? Thanks to Appalachian State's stunning loss to The Citadel on Wednesday night, things just got......"
Birmingham, Al. - The Western Carolina Track and Field teams travel to the Birmingham CrossPlex Thursday and Friday February 23-24, for the SoCon Indoor Championship. The indoor championship will not be held at Clemson for the first time in six years, instead, the Birmingham CrossPlex host the event for the first time. “We’re going to see what kind of team we can put together for the conference meet based on what we’ve done so far this season. Overall, though, we had some good performances and we’re going to continue to try to do better.” said head coach Danny Williamson. Cullowhee, NC - Head baseball coach Bobby Moranda has announced Scott Manshack has been added to the Catamount coaching staff as a volunteer assistant. Manshack will work with Moranda in mentoring the Catamount pitching staff. In 2006, he served as the junior varsity head baseball coach at Smoky Mountain High in Sylva, and was the varsity assistant coach in both 2007 and '08. "Scott has a great understanding of the game of baseball and is a true competitor - both attributes he brings to our team in a coaching role. His success as a player on the mound really translates well with our players and I'm excited to have him as a valued member of our coaching staff." said Moranda of Manshack. North Carolina's leading high school rebounder (at 16.7 rpg) will be a preferred walk-on to Western Carolina next season according to Cherokee High School boys basketball coach Rob Strong. Braves center Tsalidi Sequoyah, is a 6-foot-8, 220-pound senior that averages 20.0 points, as well as those 17 rebounds per game. On Wednsday, February 22d, the Catamounts Unite Tour will be at Harrah's Cherokee Casino & Hotel in Cherokee, N.C. at 6:30 pm - 8:00 pm. Discussions of the last week of the regular season. O'Malley's Bar & Grill in Sylva will host the lunch-time social on Wednesday, February 22 at 11:45 that will include video highlights, chalk talk and question/answer session with both head basketball coaches, Karen Middleton and Larry Hunter. Fans can order lunch off of O'Malley's menu while listening to the both head coaches with question/answer sessions. The Cats held the Lady Bulldogs to just 18 points in the second half, overcoming a 9 point halftime deficit, to take a 52-44 win over Samford in the Ramsey Center. The win snaped a six-game losing streak against Samford, and was the first win over the Bulldogs in Cullowhee since Samford joined the league in 2008. Nine Catamounts saw playing time in the game and eight got into the scoring column, with a total of 27 points coming off the bench. On Tuesday, February 21th, the Catamounts Unite Tour will be at the BlackFinn Saloon in Charlotte, N.C. at 6:30 pm - 8:00 pm. The SoCon Men's Basketball Tournament, If it started today!!! Game 1 (No. 4 South) Charleston vs. (No. 5 North) Western 11:30 a.m.
Game 2 (No. 3 North) Elon vs. (No. 6 South) Citadel 2:00 p.m.
Game 3 (No. 4 North) Appy State vs. (No. 5 South) Furman 6:00 p.m.
Game 4 (No. 3 South) Wofford vs. (No. 6 North) Chattanooga 8:30 p.m.
Game 5 (No. 1 North) Greensboro vs. Winner of Game 1 12:00 p.m.
Game 6 (No. 2 South) Georgia Southern vs. Winner of Game 2 2:30 p.m.
Game 7 (No. 1 South) Davidson vs. Winner of Game 3 6:00 p.m.
Game 8 (No. 2 North) Samford vs. Winner of Game 4 8:30 p.m.
*updated to include Saturday night's games (2-18-12). The Catamounts pick up their first series sweep of the season over Fordham University. The Cats won a double header on Friday, then closed out the series Saturday. "Any time you sweep someone at the Division I level, it's a great thing" said Head Coach Moranda. "Our goal was to get the sweep and we achieved our goal," continued Moranda. "We have a lot to work on. We had two games where we were up big and let them get back in the game so we need to learn from that, understand how that happened and correct it. If we do that, we can be a pretty good team." "I'm just really, really proud of our basketball team," said WCU head coach Larry Hunter after his Catamounts has just won on the road for the first time since winning at Samford. "It's taken us a while to get here, but we're finally getting there. The game has slowed down for some of our guys. They're starting to understand the importance of good, solid defense, having a little toughness... we've still got to get some of those rebounds there late in the game, but we really competed today. That's what our Catamount teams are known for. Overall, just a great, great team win." Kaila'Shea Menendez was been named the SoCon's Women's Basketball Player of the Week for all games played February 7-13, 2012. Menendez led the Cats to a 2-0 week, with wins over both Wofford and Furman, averaging 19 points and shooting 45% from the field. Haley Pace has been named the SoCon’s Student-Athlete of the Week. The Canton, N.C., native finished the opening weekend with seven hits, eight RBI, four runs and three home runs over the weekend at the Georgia State First Pitch Classic. Pace hit .438 in in the four games played over the weekend. Game 2 (No. 3 North) Samford vs (No. 6 South) Citadel 2:00 p.m.
Game 8 (No. 2 North) Elon vs Winner of Game 4 8:30 p.m.
*updated to include Wed, night's games (2-11-12). Game 1 (No. 4 South) Charleston vs (No. 5 North) Chattanooga 11:30 a.m.
Game 4 (No. 3 South) Wofford vs (No. 6 North) Western Carolina 8:30 p.m.
Game 5 (No. 1 North) Elon vs Winner of Game 1 12:00 p.m.
Game 8 (No. 2 North) Greensboro vs Winner of Game 4 8:30 p.m.
*updated to include Saturday night's games (2-11-12). The Catamount Club will be hosting a Tip-Off Party on Thursday evening, beginning at 7:00 pm at the Lexington Avenue Brewery (LAB). The LAB will be “Catamount Central” for the entire weekend of SoCon festivities. We will be hosting all of our pre-game events, and post-game gatherings at this location! Hotel Information - The Catamount Club has the following room block set up. To make a reservation, please contact the Catamount Club office at 828.227.3047, or e-mail jfisher1@wcu.edu. Game 1 (No. 4 South) Charleston vs. (No. 5 North) Chattanooga 11:30 a.m.
Game 2 (No. 3 North) Samford vs. (No. 6 South) Citadel 2:00 p.m.
Game 4 (No. 3 South) Wofford vs. (No. 6 North) Western Carolina 8:30 p.m.
Game 5 (No. 1 North) Elon vs. Winner of Game 1 (Charleston/Chattanooga) 12:00 p.m.
Game 6 (No. 2 South) Georgia Southern vs. Winner of Game 2 (Samford/Citadel) 2:30 p.m.
Game 7 (No. 1 South) Davidson vs. Winner of Game 3 (Appy/Furman) 6:00 p.m.
Game 8 (No. 2 North) Greensboro vs. Winner of Game 4 (Wofford/Western) 8:30 p.m.
*updated to include Thurday night's games (2-9-12). "The Catamount softball team is tremendously pumped up for our 2012 season to begin. We are excited to welcome our new coaching staff. During the fall, they have taught us that sticking together through adversity will make us stronger as a team. Everyone can't wait to get on the field and show how everyone how hard we have been working. I believe this year's team stands out more than any other because of the heart and drive we have. As a team, we have realized softball isn't solely based on talent; you have to have a good attitude, motivation, and HEART. In practices, this season, everyone has been working hard to get where we need to be. Practice is very upbeat and keeps everyone on their toes; it also seems to be much effective. The freshmen class came in ready to work. Every day they continue to show their dedication to this team, and I am very proud of the influence the freshmen and new comers have brought to the team. Our schedule seems to be hectic, but we are ready! We can't wait to start traveling, and then come back to play on our home field to show our supporters what we are capable of this season. I think our team creates a unique energy that will get everyone excited to watch us play. Come out and support your Catamount softball team." The Catamounts open a two game road swing into the Palmetto State, as they travel to Charleston on Thursday to battle the Cougars, then on to Greenville on Saturday for a critical game with Furman. Senior Ross Heffley and sophomore Aaron Attaway were named to the preseason All-Southern Conference baseball teams as selected by the league's 11 head coaches. Director of Athletics Randy Eaton and first-year Catamount head football coach Mark Speir together are traveling across North Carolina and the region during the next month reaching out to the Catamount Nation. 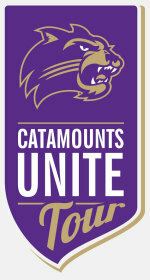 Entitled the "Catamounts Unite Tour," the series of nightly receptions is designed to allow both Eaton and Speir to meet with WCU alumni, supporters and Catamount fans alike as they craft together the vision and direction of Catamount Athletics and Western Carolina Football. Cullowhee, N.C. - Senior Vance Chavis has been selected as this season's "Leggett Legacy" player by the Catamount baseball coaching staff. Chavis will wear the No. 7 jersey during the 2012 season which was made famous at WCU by former coaching great, Jack Leggett. To earn the "Leggett No. 7 Legacy," a "player must have a passion for the game of baseball; show total intensity daily; do more with less; use adversity as preparation for greatness; and be committed to the ideals of T.E.A.M. by displaying: T-Toughness, E-Effort, A-Approach to find a way to M-Make it Happen". "Vance's work ethic is unmatched. He has persevered through several injuries and a subsequent surgery during his career at Western Carolina. We have named him one of our team captains going into the 2012 season and it is an honor to bestow upon him the `Leggett No. 7' for this year," said Coach Moranda. Just follow this link to sign up for your Catamount E-mail address. Game 1 (No. 4 South) Furman vs. (No. 5 North) Western - 11:30 a.m.
Game 2 (No. 3 North) Samford vs. (No. 6 South) Citadel - 2:00 p.m.
Game 3 (No. 4 North) Appy State vs. (No. 5 South) Charleston - 6:00 p.m.
Game 4 (No. 3 South) Georgia Southern vs. (No. 6 North) Chattanooga - 8:30 p.m.
Game 5 (No. 1 North) Elon vs. Winner of Game 1 (Furman/WCU) - 12:00 p.m.
Game 6 (No. 2 South) Wofford vs. Winner of Game 2 (Samford/Citadel) - 2:30 p.m.
Game 7 (No. 1 South) Davidson vs. 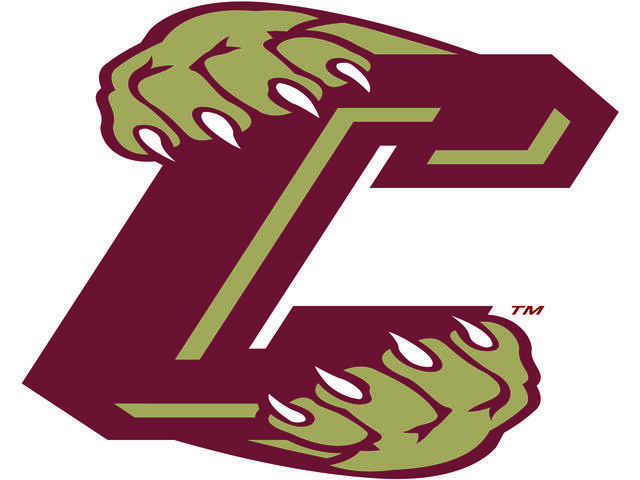 Winner of Game 3 (Appy State/Charleston) - 6:00 p.m.
Game 8 (No. 2 North) Greensboro vs. Winner of Game 4 (GSU/Chattanooga) - 8:30 p.m.
*updated to include Saturday's games. Greensboro, N.C. - The Catamounts completed a seasonal sweep over the Greensboro Spartans on Saturday in Fleming Gymnasium on the campus of UNC Greensboro. This win was also the Cats first conference road win of the season, as well as, the first set of back to back conference victories. The Cats rallied to finish the game on a 14-1 run to take a 46-35 win, as the Cats went 6-for-9 from the free throw line down the stretch. The Cats have a short break of seven days before they travel to Spartanburg, SC to play the Wofford Terrires where they will have an opportunity to pick up their second seasonal sweep, and extend their winning streak to three conference wins in a row. .
Atlanta, Ga - The Catamounts will open the 2012 softball season on Feburary 11-12 in Atlanta, Ga, as the Georgia State Panthers host the seventh annual Georgia State First Pitch Classic. Participants are Longwood (Va.), East Tennessee State, Western Carolina, and Georgia State. The Cats will kick off the season against Longwood on Saturday at 10:00 am at GSU's Panthersville softball complex (the complex is not on GSU's campus). Cullowhee, NC - Thursday night's White Out win over the Mocs of Chattanooga in the Ramsey Center, gave WCU head coach Larry Hunter his 100th win as the head coach of the Catamounts. Hunter now ranks third in school history with 100 wins, behind Steve Cottrell (145 wins) and Jim Gudger (311 wins). The home win over the Mocs, gave Western Carolina its ﬁfth-straight home victory over Chattanooga, and ties the series 18-18 in games played in Cullowhee. Hunter's Catamounts have won 44 of their last 52 home games including 29 of the last 35 SoCon games in Cullowhee. Over the past three seasons, the Cats are 42-7 (.854) at home, and during Larry Hunter’s entire tenure at WCU, the Catamounts are 65-22 (.744) at home. Catamount Football To Host National Signing Day Event! On Thursday, February 2nd Head Football Coach Mark Speir and his staff will introduce the 2012 Signing Class! Coach Speir will introduce his position coaches, who will then brief you on each student athlete that has signed a National Letter of Intent to play football for WCU. Our Coaches will review film on each signee to allow you to get the first glimpse of our new Catamounts! This event will begin at 5:30 p.m. in the Hospitality Room in conjunction with the Purple Zone prior to the Men’s Basketball game vs Chattanooga. To RSVP, pleases contact the Catamount Club office at 828.227.3047, or e-mail jfisher1@wcu.edu. CULLOWHEE, N.C. - Ali Lane's career-high 12 points was one of three Catamounts to score double figures, in a 59-45 win over the Charleston Cougars on Wednesday night in the Ramsey Center. The win pulled the Cats out of last place in the conference standings, as the Cats have won two out of their last three games. Alex Abraham led the Cats with 13 points while Kaila'Shea Menendez put up 10 points. The following have signed National Letters of Intent with Western Carolina.